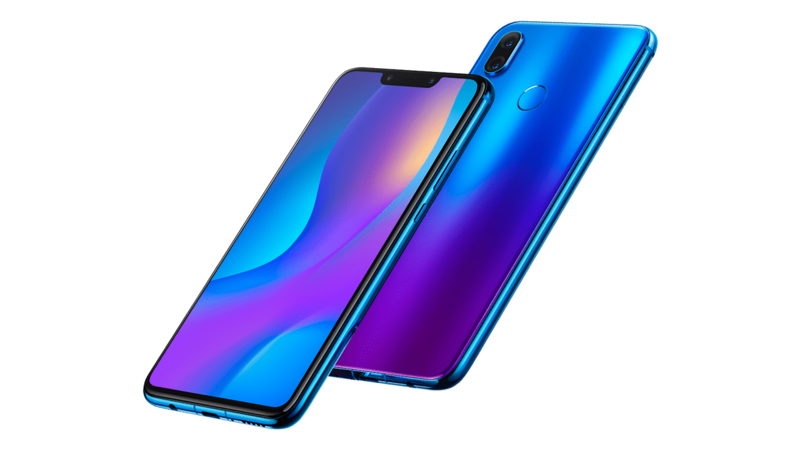 Huawei just announced a new smartphone in the ‘Nova’ series, the Huawei Nova 3i. It is a downgraded version of the Nova 3 and features the All-new Kirin 710 processor, which is expected to compete with the Snapdragon 710. 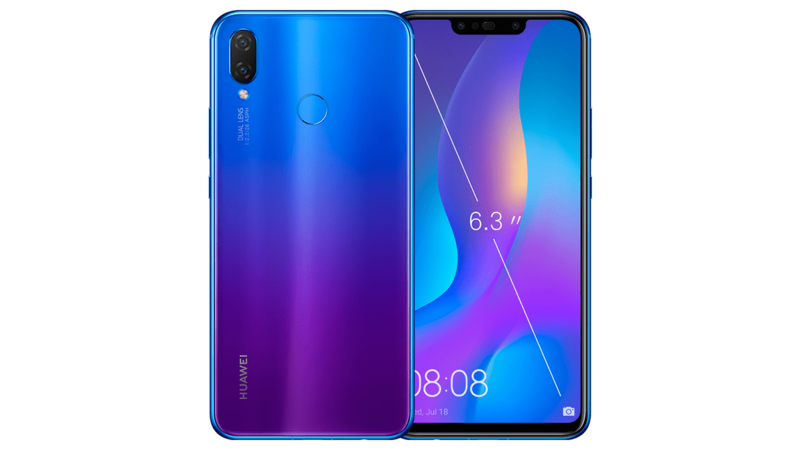 In case you don’t know, the Huawei Nova 3 is a high-end device from the company, featuring the Kirin 970 chipset, 6GB RAM, and a beautiful design. With the Nova 3i however, the company is looking to dominate the mid-range market as we don’t have a lot of competition there. Talking about the design, Huawei doesn’t seem to have plans to change its design language, at least in 2018. We have the similar design for the Nova 3i as other phones from Huawei like the P20, P20 Pro, P20 Lite, etc. There is a vertical dual rear camera setup, and the fingerprint scanner is also placed on the rear. The phone looks beautiful, thanks to the 2D glass on the front as well as the rear and a metal frame. The purple variant of the phone features the gradient design on the rear, similar to the P20, P20 Pro, Honor 10, etc. All the ports are present on the Huawei Nova 3i, but one major disappointment is that there is a micro USB port and no USB Type-C. 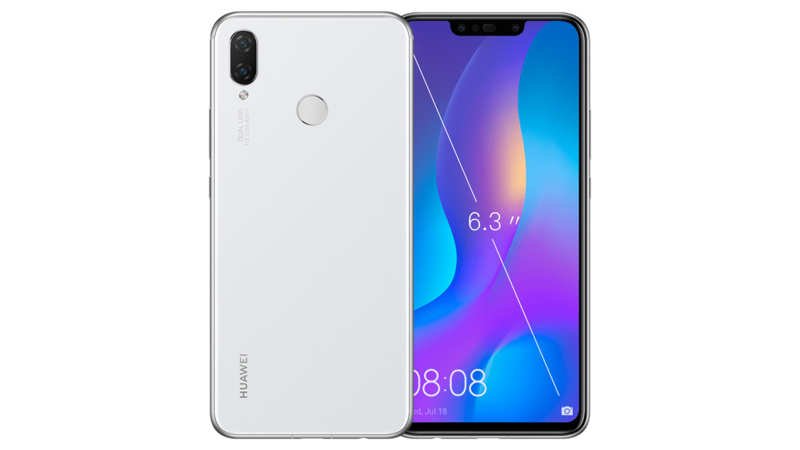 There are companies like Nokia that are adding Type-C ports in their budget phones as well, and then there are companies like Huawei that still have no such plans. Anyways, the headphone jack is present, which is a good thing since companies like Xiaomi have already started ditching headphone jacks on their budget phones (Mi A2!). Overall, the design is a plus point of this device as it in no way looks like a normal mid-range phone with metal all around. Coming to the specifications, the Huawei Nova 3i has a 6.3-inch Full-HD+ TFT LCD with a resolution of 2340 x 1080 and a pixel density of 409ppi. Thanks to that notch, the aspect ratio is 19.5:9 and screen-to-body ratio is 81%. In the settings, there is also an option to lower the resolution to HD+ as well as Hide the notch. But since the screen is not AMOLED, hiding the notch won’t help in making it completely invisible. Under the hood, the phone features the Kirin 710 processor, the latest mid-range chipset from Huawei. It is a 12nm chipset that means it is more power efficient than the likes of Snapdragon 636 and the 660. Also, there are four Cortex A73 cores clocked at 2.2GHz and four Cortex A53 cores clocked at 1.7GHz. The phone also features the GPU Turbo Tech for a better gaming experience. The Huawei Nova 3i comes with only one variant – 4GB RAM + 128GB storage. This is a pretty unique combination as we usually see 32 or 64GB ROM along with 4GB RAM. There is also support for microSD card via the hybrid SIM slot, and the storage can be expanded up to 256GB. Coming to the cameras, the Huawei Nova 3i has four cameras in total – dual cameras on the rear as well as the front. Talking about the rear, there is a 16MP + 2MP combination, which is pretty normal for budget phones from Huawei. On the front too, there is a secondary 2MP camera with the primary 24MP selfie shooter. Android 8.1 Oreo runs out of the box with the EMUI 8.2 skin on top. The battery under the hood is a 3,340mAh unit that supports the normal 5V/2A charging. So yes, there is no fast charging support. As per the reviews, the phone takes two and a half hour to charge from 0 to 100%. 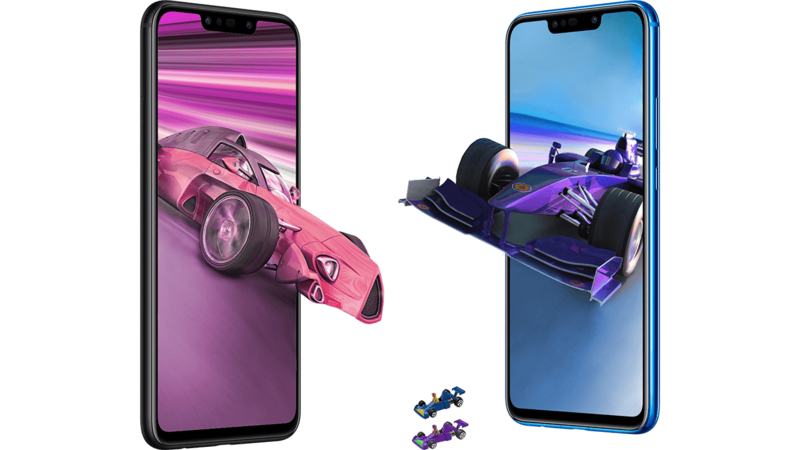 The Huawei Nova 3i comes in three colors – Black, White, and the Iris Purple. Among these three, only the Iris Purple comes with the gradient design on the rear. As mentioned above, there is a single variant of the phone that has 4GB RAM and 128GB storage. The pricing is PHP15,990 for the Philippines, which translates to about $300. We are expecting the phone to launch in other markets like India pretty soon. Finally, you can check out this hands-on review of the Huawei Nova 3i by Yugatech.